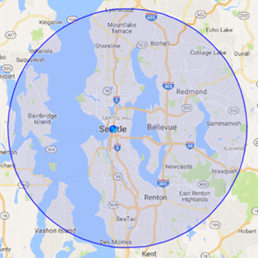 Whenever water related situations occur, you can rely on 911 Restoration Seattle to be there to provide you with immediate assistance. Your home in Bothell could be in trouble if it has sustained a pipe burst, roof leak, flood, or toilet overflow. We will using our advanced drying technology to extract water and moisture out of your home. We will make sure that any of those issues are patched up and any damage is restored so your home can look good as new. A leak is an urgent concern that needs to be dealt with as soon as possible because prolonged exposure to water and moisture can lead to issues like wood rot, drywall flooding, and mold growth. Excess moisture within your home can attract mold to start growing. This can cause structural deterioration and can have an adverse effect on your health. Mold releases spores into the air which can lead to health conditions like allergies, asthma, and skin irritation. To keep you and your family safe from harm and to patch up the source of the moisture, it’s best to call 911 Restoration. 911 Restoration has the training and tools to be able to get rid of mold growth within your home. Through an inspection, we will use our infrared cameras to detect hidden moisture spots within your home along with any potential leaks. 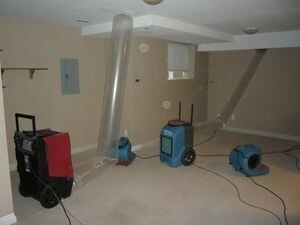 Our water damage restoration team can patch us these leaks and extract water and moisture. Once the problem has been patched up and the water extracted, our team will be providing mold remediation that will get rid of all traces of mold along with any spores it may have released within your home. With our quick response, training, and state-of the-art tools, 911 Restoration is the company most suited to providing you with highest level of water damage repair and restoration. Our IICRC certified technicians will be working to refurbish all the damaged sections of your home so you can get a fresh start! Our water damage Bothell pros are trained and available 24/7/365 to give your home a fresh start! The moment you notice a problem involving water within your home, we need to act fast in order to prevent any further harm to your home like drywall flooding and mold growth. That’s why when you call 911 Restoration, you can expect us to be there within 45 minutes of your call. We will locate the source of the problem by providing you with a free inspection and estimate once we arrive. No matter the shape or size of that leak, you can count 911 Restoration to provide you with on the day service that will make your home look good as new. 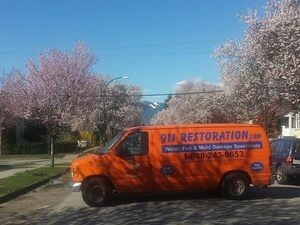 If your property is already awash in flooding, then contact our water damage Bothell team with 911 Restoration Seattle for all the best in services that the industry has to offer today!